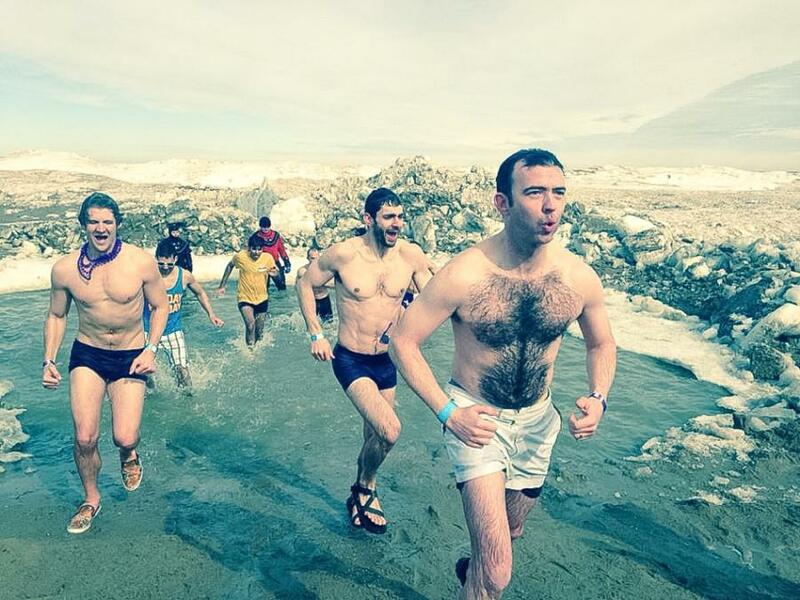 Kellogg student Benjamin Dowell (right) participates in the Polar Plunge last year. Dowell is the captain of “The Kellogg Krushers,” and will embrace chilly waters to raise money for Special Olympics on March 1. A team of Kellogg students called the Kellogg Ice Krushers will dive into the freezing waters of Lake Michigan from North Avenue Beach in Chicago for the Polar Plunge on Sunday. The Polar Plunge is an annual winter event when participants plunge into bone-chilling waters for a few minutes to raise money for the Chicago Special Olympics. This year, Kellogg’s team of about 20 people was started by second-year MBA student William Connor. Connor created the team because he has a personal connection to the cause. After creating the team and sharing it with friends and Kellogg email list, Connor said he got a great response from both people he knew and didn’t know who came together to participate. Having lived in the Midwest her whole life, Battisfore also said participating in the Polar Plunge has always been a personal goal of hers. To participate in the Plunge, participants have to raise a minimum of $175. Battisfore said she raised money several different ways, including by reaching out to family members and friends and asking them to donate using social media sites such as Facebook and LinkedIn. “It’s really surprising, the people will come out of nowhere and donate money because it’s something that’s important to them and you would never think to ask them,” she said about using LinkedIn groups to let people know she was raising money for the Special Olympics. Although this is the first year Connor and Battisfore will be participating in the Plunge, this will be team captain Benjamin Dowell’s second time doing it. Dowell said his friends encouraged him to join last year, and although he was a little apprehensive at first, it ended up being a great experience. “When you jump in the water, it’s amazing how your physiological response takes over and your body gets pumped full of adrenaline and you literally don’t feel cold at all,” he said. On her expectations for the Plunge, Battisfore said that she thinks it’s going to be really painful but also a lot of fun, and hopes to come out of it with a lot of new friends. Dowell said that he is definitely less worried about the Plunge the second time around.